With long distance traveling, comfort needs to come top of mind. Thankfully, a coach bus rental is designed to make your trip as easy as possible. Deluxe motor coach transportation is the most popular bus charter option for large groups and longer routes. A deluxe motor coach is the perfect solution for large group transportation. Not only are these coaches economical, they’re also very practical thanks to the charter’s larger seating capacity and additional storage. With ample space for your whole group (and baggage! ), you’ll be better equipped to ensure that everyone gets to travel together while bringing along all the items they need. Designed for long distance excursions, coach buses provide more luggage space for passengers. Throw in some deluxe amenities like reclining seats, air conditioning, and on-board entertainment, and you’re all set for a comfortable ride to your next destination. When Should You Rent a Coach Bus? 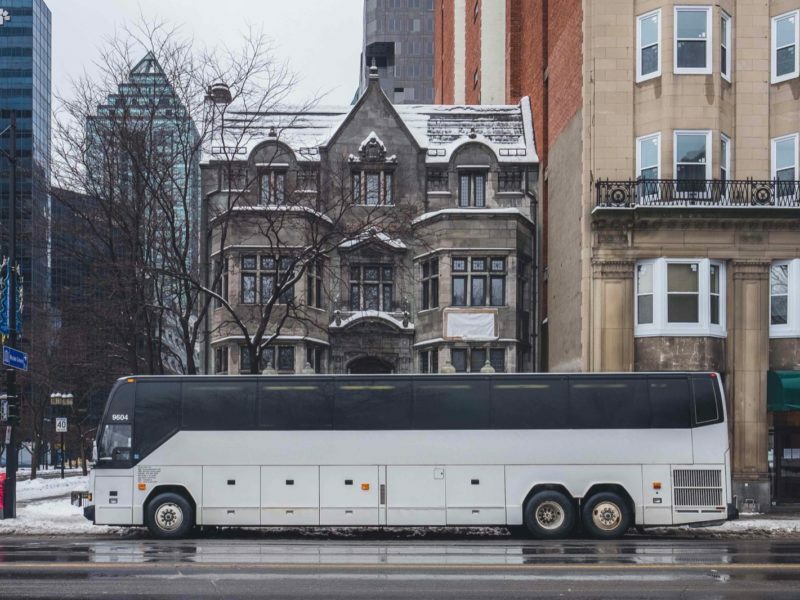 You should consider renting a coach bus if you are traveling over an extensive period of time, or simply would like a more comfortable vehicle for your trip. With its larger seating arrangement and better suspension system, a coach bus can comfortably accommodate up to 57 passengers. 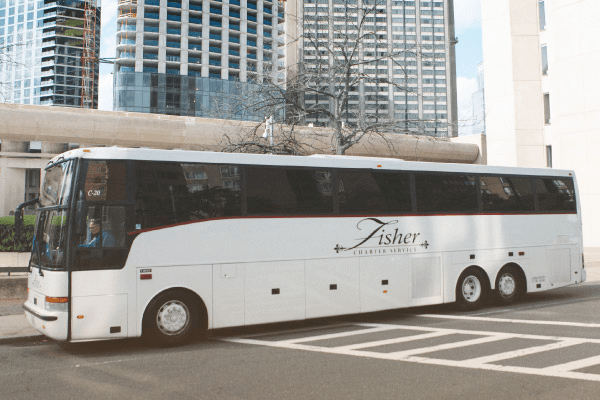 With a coach bus charter, you’ll also have access to more amenities, such as extra luggage storage, and additional personalization options to suit your travel needs. This makes them a popular option for events and occasions that may require passengers to embark on long-haul trips, such as out-of-town festival goers, students competing at case competitions or inter-university hackathons, or even sports teams heading to a big championship! How Much Does It Cost to Rent a Coach Bus? A coach bus rental has an average hourly price starting at $115/hr, depending on city and day (and any additional amenities you’re interested in). Keep in mind that these prices are calculated and can vary based on availability, distance traveled, and seasonality. Need more accurate coach bus rental prices? Find out how much it costs to rent a coach bus for your trip with our instant charter bus quote tool. How Many Seats Are There on a Coach Bus? By standard, coach buses have on average 55 seats. However, depending on suppliers, they can also come in different sizes with vehicles varying between 47, 55, 56, or 57 seats. 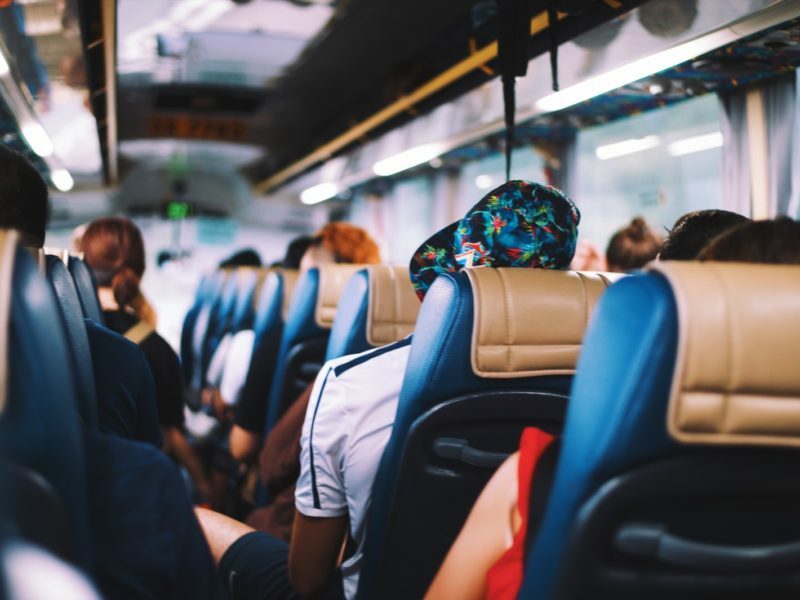 If you’re looking for a slightly smaller vehicle, but that still has most of the features of a coach bus, consider renting a mini coach bus instead. To make sure the latter is better suited for your trip, learn more about mini coach bus prices and features. Is There Storage on a Coach Bus? You will have plenty of storage room with a coach bus rental! With the possibility of having dedicated storage space both below and above seats, you’ll be able to bring along your baggage worry-free and access your carry-on during the journey. What Are the Available Amenities on a Coach Bus? Long roads require maximum comfort (and safety!) – and a coach bus will deliver on just that. Designed to provide a pleasant ride, coach buses feature a variety of extra amenities, such as onboard bathroom, reclining seats, individual reading lights, curtains, A/C, DVD/TV, outlets, WiFi access, and wheelchair accommodation as per your request, so you can easily cater the travel experience to your passengers’ needs. What Do People Typically Rent a Coach Bus For? 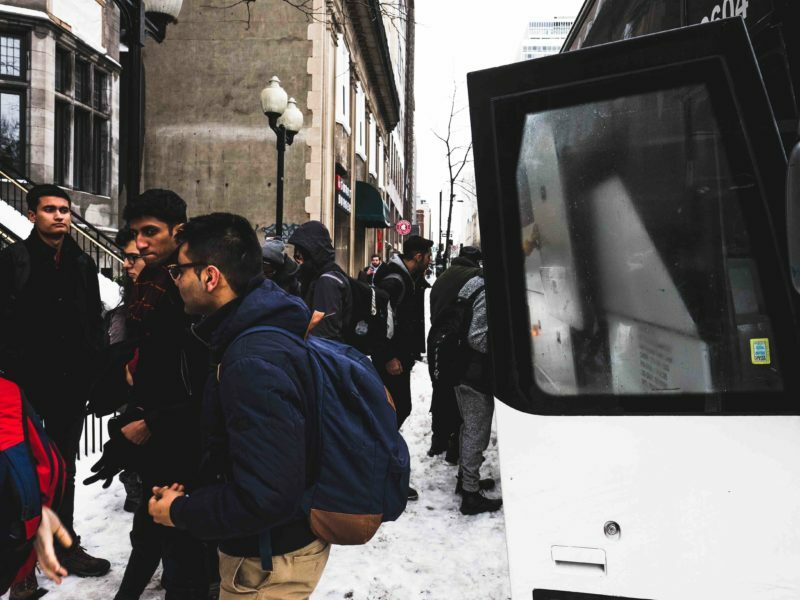 Typically used for long-distance travel, coach buses tend to be chartered by large groups that need transportation from one city to another. 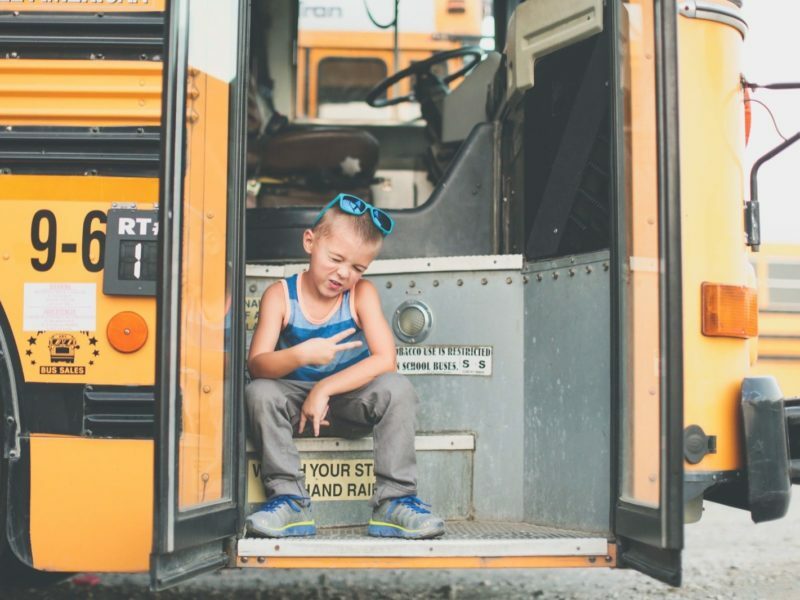 We’ve seen popular coach bus rentals made by sports teams to move coaches, players, and their entire support staff to out-of-town games, or even sports fans looking to rent a coach bus to attend tailgate parties for their favourite teams. 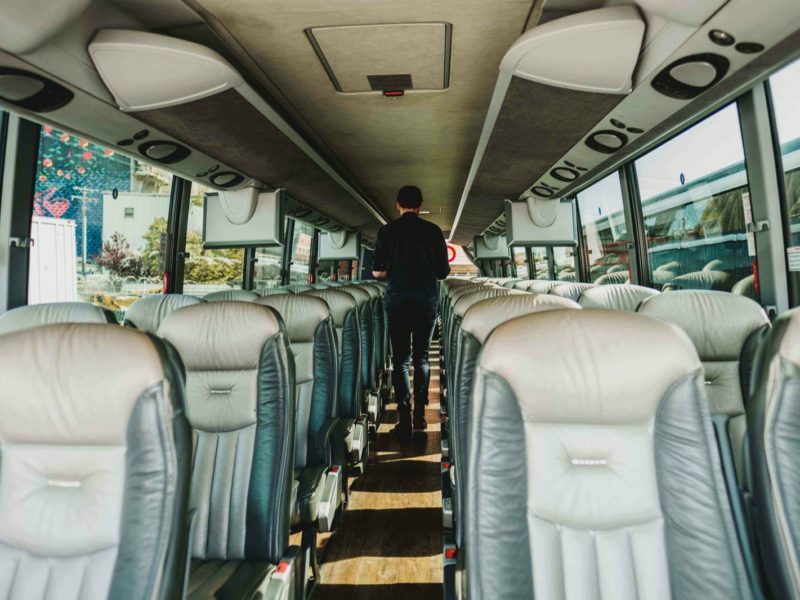 If you simply want to be more comfortable during your trip, renting a coach bus is also an excellent option, especially when you consider all the amenities that may not be available on other bus types. Companies often use coach bus charters in order to bring their employees to corporate retreats or conferences. With outlets on board and the possibility of adding WiFi, people are able to remain productive and stick to their routine, even while on the road!